And Amazon shoppers love it. Gold-infused beauty is having a moment right now, and it's not uncommon to scroll through Instagram and see celebrities and influencers sharing posts of themselves with their faces caked in gold. Not only are gold face masks oh-so-chic, but they actually do wonders for your skin. "Gold has anti-inflammatory properties and is known to help with skin infections and acne-prone skin," says New York City-based dermatologist Debra Jaliman, MD. Because gold is an antioxidant, it also helps protect against free radicals that lead to fine lines and wrinkles, she tells us. But there's one gold face mask that Amazon shoppers can't get enough of. The Majestic Pure Gold Facial Mask ($22; amazon.com) combines real 24K gold foil (fancy!) with hydrating ceramides and other good-for-skin ingredients to help reduce the appearance of fine lines and wrinkles, increase skin elasticity, and slow down the collagen depletion process, Dr. Jaliman says. Even better? It's affordable and you can get it on Amazon with free two-day shipping. Chock-full of luxurious anti-aging gold flakes, the mask also contains ingredients that fight inflammation, minimize sun damage, and smooth skin. One ingredient is hydrolyzed collagen, the most abundant protein in skin. "The middle layer of the skin is called the dermis and that is where we find the collagen and elastic tissue," says Dr. Jaliman. This is the layer that gives skin its plumpness, she explains, and hydrolyzed collagen helps it retain that fullness. Other key ingredients in the formula include shea butter and vitamin E to deeply moisturize and keep skin looking youthful. If you have dry or normal skin, it's perfect for you. The gold-flecked face mask has quickly been accumulating positive reviews—97% of which are four- or five-star. 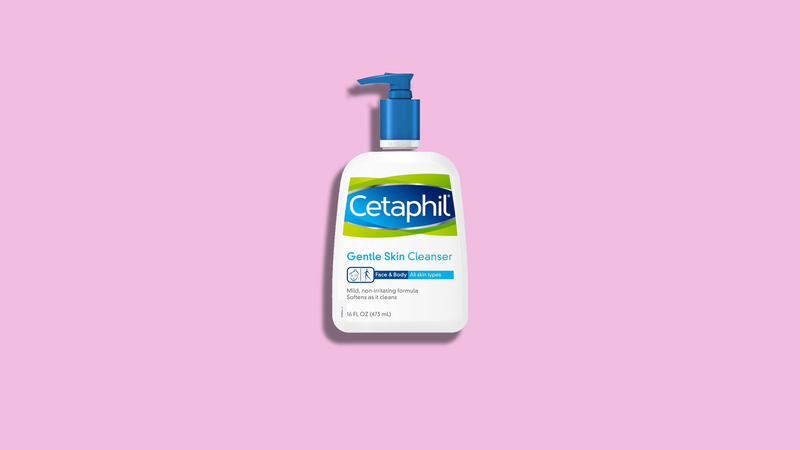 One reviewer wrote that she noticed smoother, clearer skin after just one application. Another raved that the mask is easy to apply and wash off, and leaves skin hydrated and glowing. And yet another said she uses it for fine lines and loves how it moisturizes her face. Use your fingertips or a brush to apply a thin layer to your entire face, taking care to avoid the eye area. Massage the gold mask in an upward circular motion and allow it to sit for up to 25 minutes before rinsing. Another gold mask we love: SWISSÖKOLAB Revitalizing 24K Golden Eye Mask ($15; amazon.com), which boasts hyaluronic acid and collagen to nix puffy undereyes and dark circles. Want to go gold, but prefer a peel-off mask so you can really feel like it's removing gunk from your pores? Great for all skin types, Elixir Cosmetics Golden Face Mask ($14; amazon.com) is a gold foil mask packed with collagen, coenzyme Q-10 (a powerful antioxidant), and soybean extracts to deeply moisturize and improve skin's texture. Before smoothing any mask over your face, dab a small amount on the inside of your elbow to test for an allergic reaction. Once you determine that it's safe to use on your skin, apply and prepare to glow!